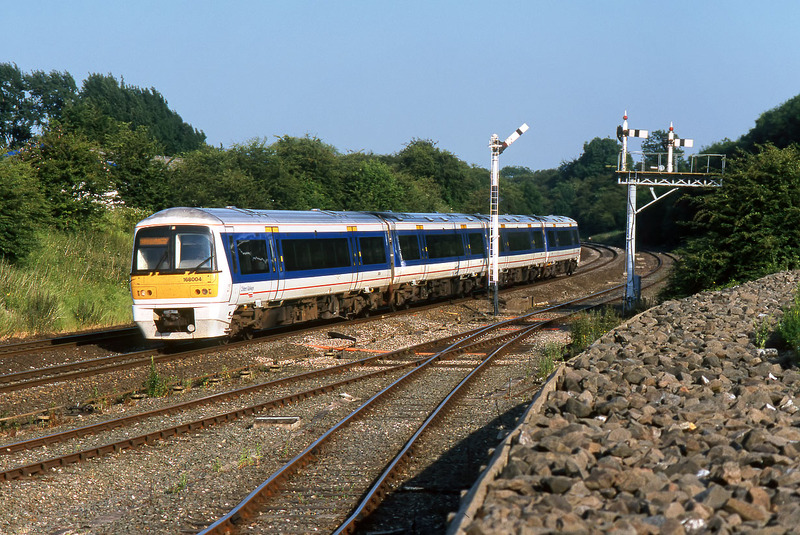 The old and the new at Fenny Compton on 19 June 2000. 168004 works the 17:12 Marylebone to Birmingham Snow Hill Chiltern Railways service, passing the unusual combination of adjacent upper and lower quadrant semaphore signals. Unfortunately these signals disappeared when Fenny Compton box closed in April 2004.